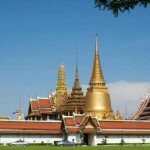 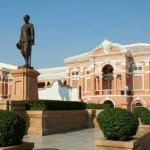 In the past, Tha Tian area was one of the significant communities on Rattanakosin Island. 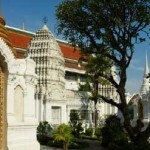 A palace of a prince was constructed on this area in King Rama I’s reign (1782-1809) but it was destroyed by fire. 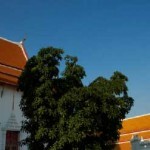 Then, a foreign court and accommodation for foreigners were built before they were replaced with shophouses. 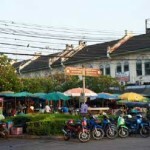 Tha Tian market is known for various herbal products and dried seafood. 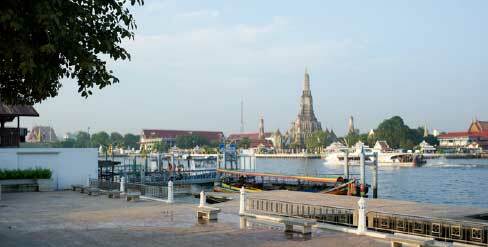 There are the boats shuttle between the pier and Wat Arun in Thon Buri. 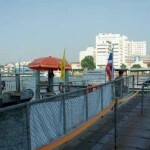 Nearby Tha Tian Pier is located Nakarabhirom Park.